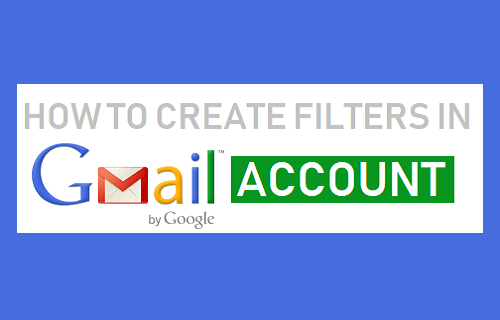 Creating Filters in Gmail allows you to Sort and Group Emails and also to automatically forward Emails with specified Filter Criteria to specific Folders within your Gmail Account. 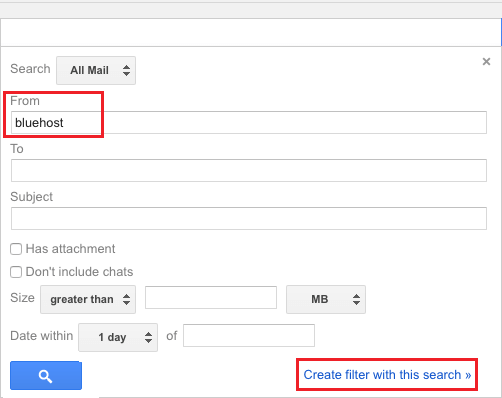 If this sounds interesting, let us take a look at how to Create Filters in Gmail. By default, all the incoming Emails in your Gmail Account are delivered to the Inbox. This arrangement leads to all types of Emails from multiple Contacts getting accumulated in the Inbox. This default setup can become unmanageable and inefficient while dealing with a large number of Emails from multiple senders. For example, to find a certain email from a certain sender, you will be required to go through hundreds or thousands of emails in the Inbox. 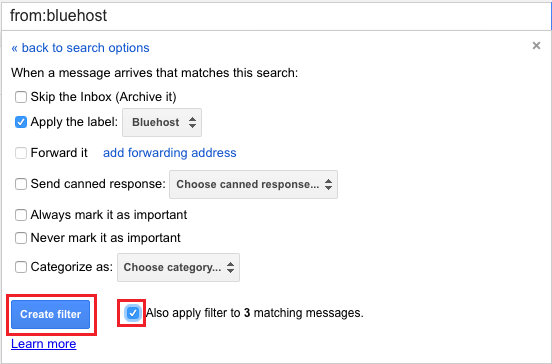 Hence, the need to Create Filters and direct Emails with different Filter Criteria to different Labels (or Folders as Google calls them) within your Gmail Account. For example, you can create a Filter to direct all Emails from Skype, Netflix and other subscription services to a New Label called “Receipts” in your Gmail Account. 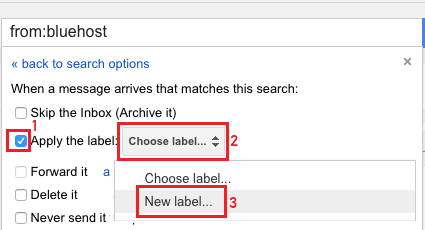 Gmail allows you either Create Filters and Labels at the same time or Create Labels first and then apply Filters to your pre-created Labels. In this case, we are going with the option to Create a Filter and Label at the same time. 1. Click on the Gear icon located at the top right corner and then click on Settings. 2. On the Settings screen, click on Filters and Blocked Addresses link (See image below). 4. On the next screen, you can specify Filter Criteria like Sender Name, Sender Email, Subject, Has Attachment, Has Words and other Criteria. After specifying Filter Criteria (From Sender in this case), click on Create Filter with this Search link. 5. On the next screen, select Apply the Label option. Next, click on Choose Label and select New Label option in the drop-down. 6. In the pop-up that appears, type a Name for your New Label and click on Create. 7. Once the new label is created, select Skip the Inbox and Apply filter to matching messages option and click on Create Filter button. Skip the Inbox: Received Emails with matching Filter Criteria will skip the Inbox and land directly in the New Filter (Folder) that you have Created. Also Apply Filters to matching Messages: Selecting this option moves existing messages with matching Filter Criteria from Inbox to the New Label or Folder that you just created. 8. 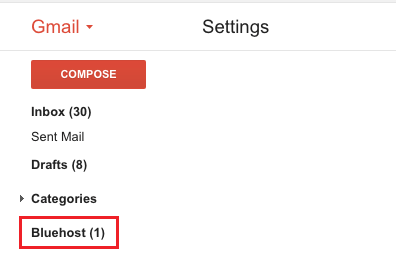 Once you click on Create Filter button, Gmail will create a New Label with your specified Filter Criteria and place it in the sidebar menu under Categories tab. Now all the Emails matching your set Filter Criteria will be landing directly into the new Label.